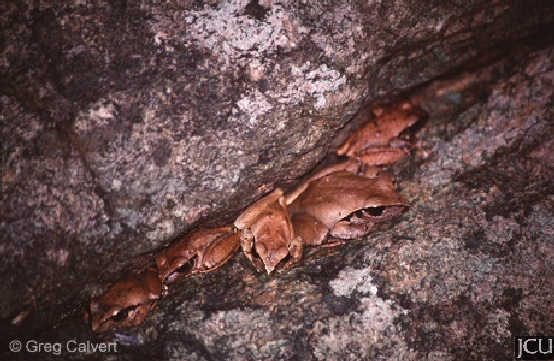 This frog is usually observed at night, found in a wide range of habitats. Colour of the body ranges from grey to fawn to dark coppery brown, darker flecks or blotches usually present. There is a dark streak from snout to near forelimb. Belly whitish to yellowish. Fingers are unwebbed, webbing between the toes is well-developed.